Thursday, May 22. 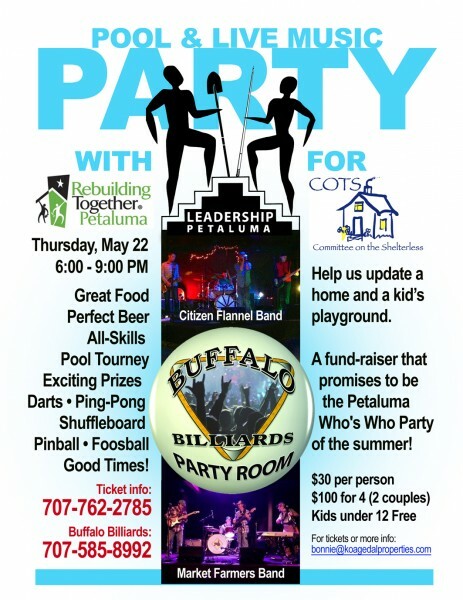 That’s when Petaluma’s who’s who will be hanging out together at Buffalo Billiards playing pool, darts, shuffleboard, ping-pong and networking for the benefit of COTS (Committee on the Shelterless in California). 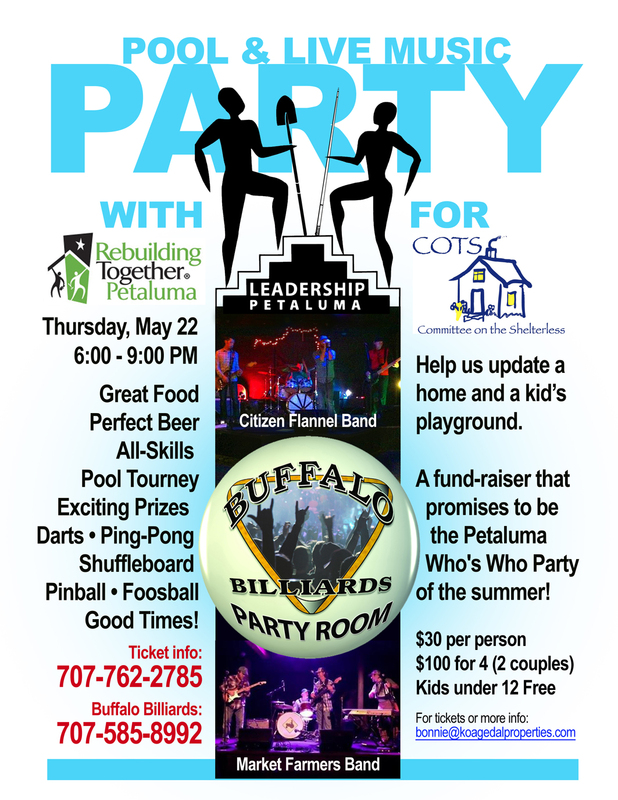 Leadership Petaluma 2014 and COTS is launching an annual fund-raiser at Buffalo Billiards as a lasting legacy to the Petaluma Area Chamber of Commerce Leadership Program. Daily meals and weekly emergency food deliveries are critical to many low income families, seniors and individuals in our community. In the COTS community kitchen, located at 900 Hopper Street in Petaluma, COTS provides a nutritious meal each day to homeless and at-risk families and individuals. The volunteers and staff at the Kitchen serve more than 125,000 meals per year. 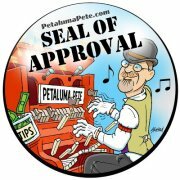 The money collected from this Buffalo Billiards party goes to COTS.